CMU Students talk about the ROTC Program | Grand Central Magazine | Your Campus. Your Story. Central Michigan University offers a ROTC program for students. The CMU ROTC program also offers scholarships for students contracted into the program. The goal of the program is to shape students into leaders, which will then translate into their future profession within the military or civilian life. 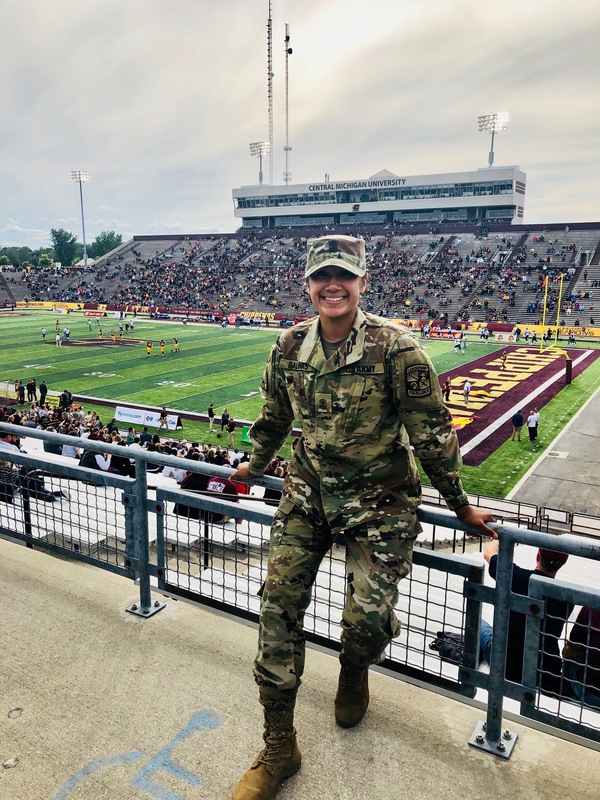 Georgia senior Jennifer Salinas is contracted into the ROTC program and has been involved with program for all four years at CMU. Salinas is the “Battalion Commander” in the program. Jennifer Salinas: Battalion Commander in the ROTC Program. Photo by Hunter Dood. Salinas knew she wanted to go the military route during high school, and the CMU ROTC program caught her eye. 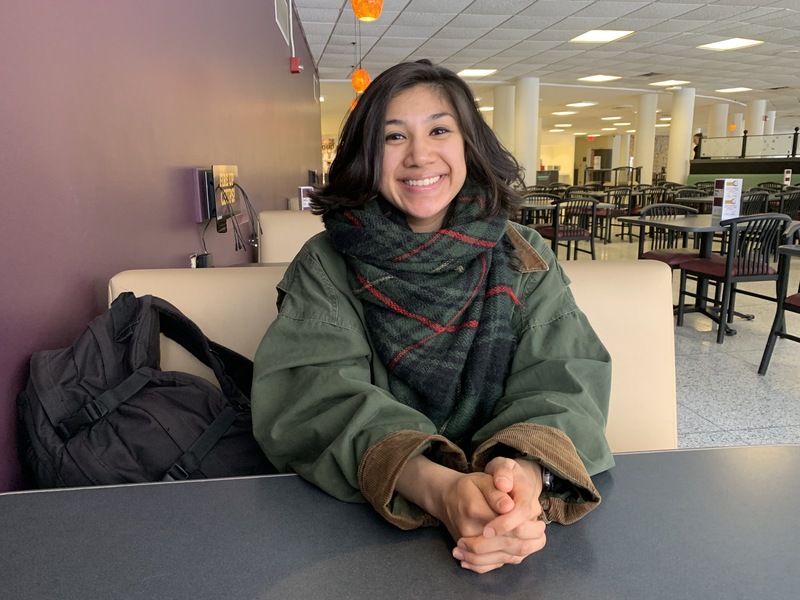 “I was interested in the ROTC program and that was what made my final decision,” Salinas said. Salinas said her role is to plan and oversee what is getting done. She is part of a team that ensures that the ROTC program is getting tasks done that they need to in order to stay a program. Grand Rapids sophomore Austin Schondel is in his second year with the ROTC program. Schondel is currently a Squad Leader in the program. 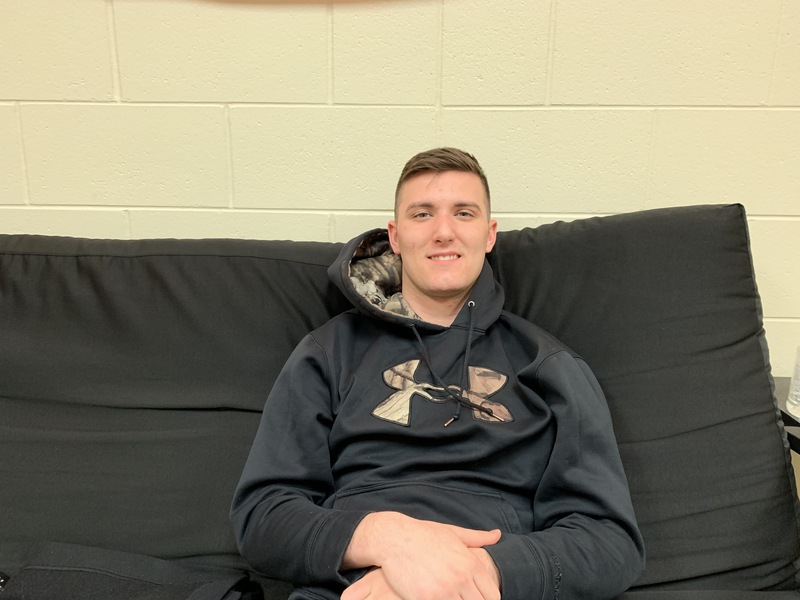 Schondel said that the schedule for an ROTC student can be tough and it puts “more on my [his] plate.” His schedule calls for physical training on Monday, Wednesday and Friday at 6 a.m.
“Being ROTC adds more responsibility to my life,” Schondel said. Students who are contracted into the ROTC program take two PT tests a semester, the students train during the semester in order to pass those tests. Some students are given the opportunity to attend camps over the summer. There they have the chance to express their knowledge and leadership abilities that they have learned. 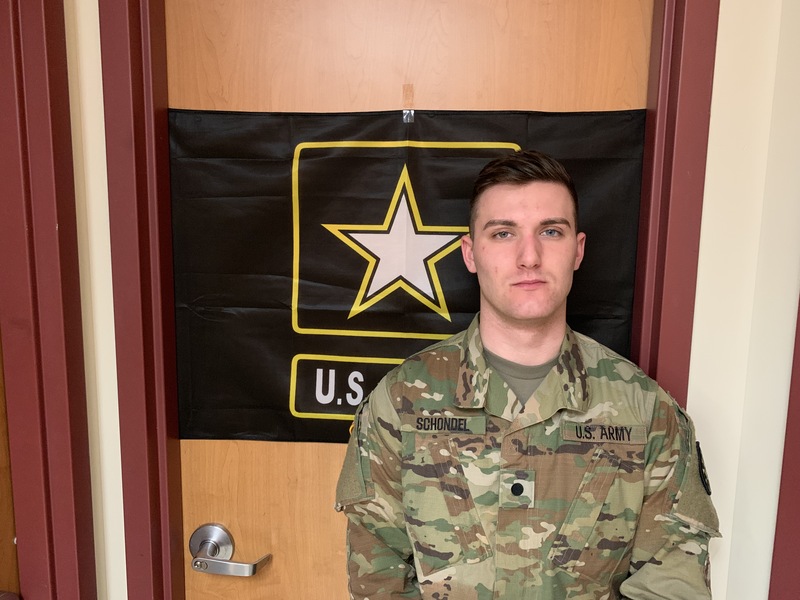 Schondel recommends that students who would be interested in pursuing the military to look into joining the ROTC program because it offers many benefits to the students. Both Salinas and Schondel want to go into active duty when they graduate. Salinas plans on becoming a 2nd Lt. in the Core of Engineers, while Schondel hopes to become a pilot. Separator image Posted in Student Lifestyle and tagged with Austin Schondel, cmu rotc, Hunter Dood, Jennifer Salinas, ROTC.